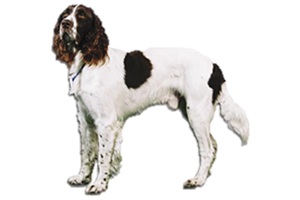 The French Spaniel is an all-around gundog, not just a spaniel. It is capable of pointing, trailing game, flushing and retrieving. Today it is also commonly kept as a companion. An ancient breed, the first writings of the French Spaniel date back to the 16th century, but it is thought to have existed since the 11th. They were greatly favored with the French Royalty and overtime spread throughout Europe. It declined dramatically in the 19th century due to imported English gundogs and came very close to extinction. The breed was saved by Abbot Fournier, who gathered the remaining dogs and began a breeding program. Today the French Spaniel once again enjoys popularity France, its bloodline secure. Is the French Spaniel Right for You?